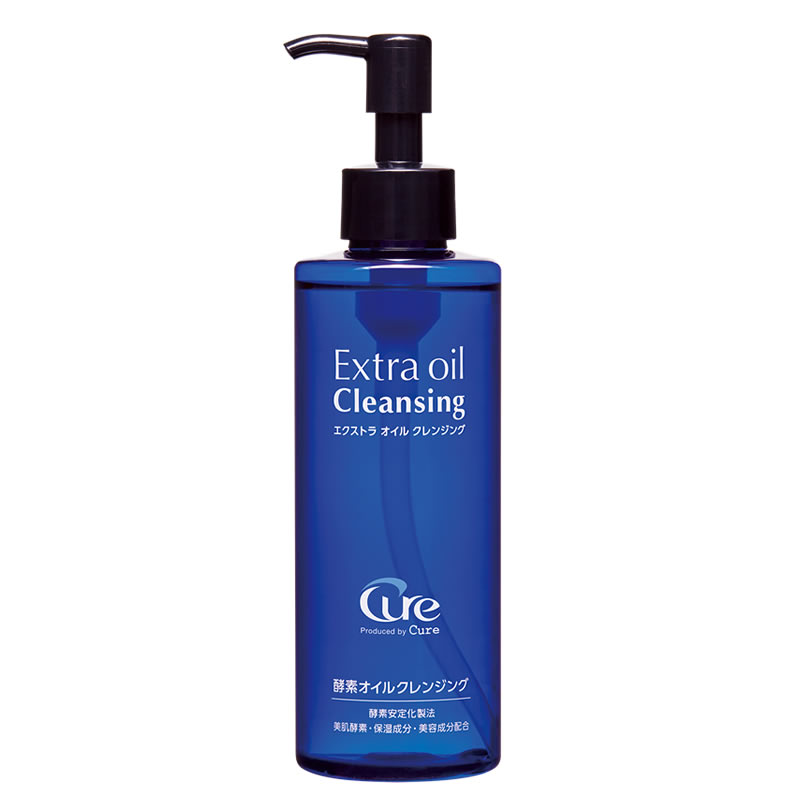 For those who want to drop makeup firmly, but the oil cleansing is concerned about drying of the skin, "Extra Oil Cleansing Cure (Extra Oil Cleansing Cure)" is a make-up that the enzyme has entered the pores and horny gaps into a square plug or old It decomposes finely with horny matter, it makes it easy to remove it by rubbing with oil. In addition, it does not take too much skin oil, it keeps drying of the skin after use suppressed. Prevents drying of your skin after use in skin care enzymes · moisturizing ingredients · beauty ingredients formulation. ● Enzyme ※ 1 floats the pores that entered the pores and old horny skin, softens it quickly, it is oil cleansing less burdens on the skin. ● Do not take too much of your skin oil and keep drying of your skin after use. ● You can use wet hands, face, bath. ● Appropriate amount (about 3 push) is taken in hand, after making it well applied to makeup, add a small amount of water or lukewarm water, let it mix well and rinse thoroughly with water or lukewarm water. Even if your face and hands are wet, you can use it after washing your hair, etc, which is very wet, please use it lightly after you drain the skin moisture. After use you should wash your face with facial cleanser etc.